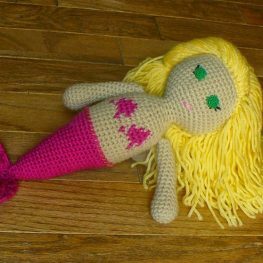 We received a lookup request from Jennifer K for Crocheted Mermaid Patterns. 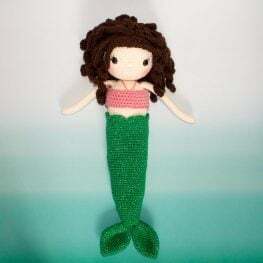 I have located a few options for Crocheted Mermaid Dolls that are available for free and I have also included links to a few for-sale pattern options that may be of interest. This is my favorite Mermaid Doll. 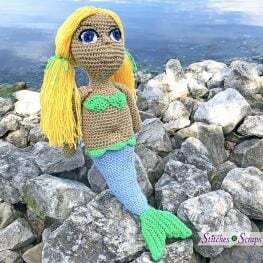 Crochet Princess Sophie and the mermaid accessories to have this adorable Princess Mermaid Doll! The clothing and tail are removable so you can switch between Princess and Mermaid easily! 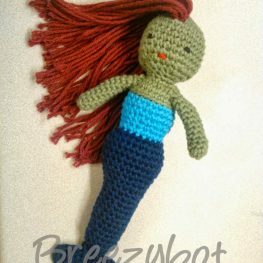 With DK Weight Yarn and a 3.75 mm (F) hook you can crochet this sweet 19-inch doll Mermaid doll. 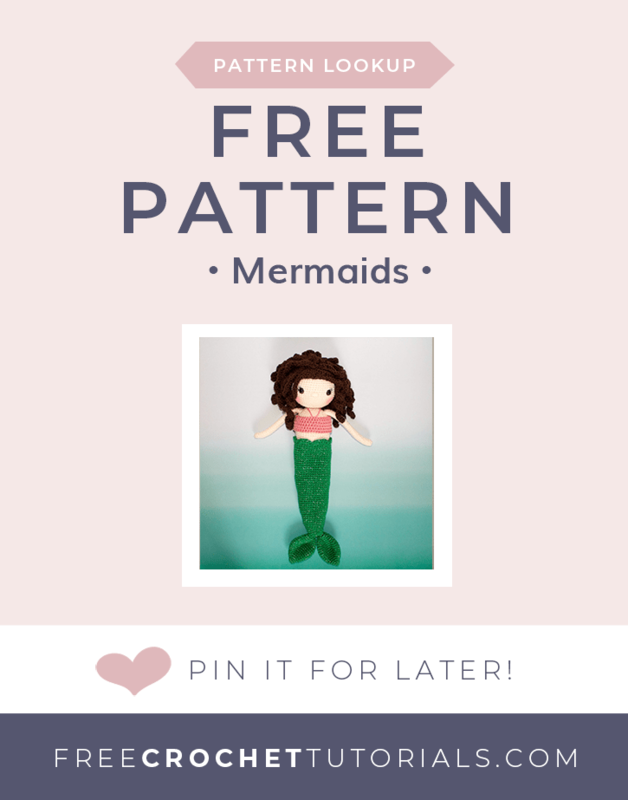 This free Mermaid Crochet Pattern is available from my favorite Ragdoll Crochet Designer. This Ragdoll Mermaid is approximately 32 cm (12.5 inches) tall, from the top of her head to the bottom curve of her tail. Crochet this lovely mermaid with a 4 mm (G) hook and medium weight yarn. 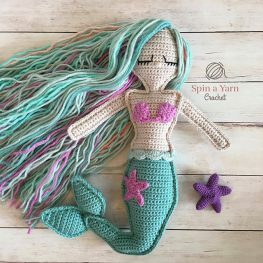 This mermaid amigurumi pattern is crocheted with medium weight yarn and a 2.75 mm (C) crochet hook. This lovely mermaid has beautiful red curly hair and striking blue eyes. She is crocheted in sport weight yarn with a 2.5 mm hook. Frankie the Mermaid is crocheted with medium weight yarn and a 4 mm (G) crochet hook. This finished mermaid is approximately 8 inches tall.